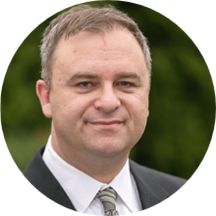 Dr. Oleg Pisman is a skilled physician catering to the podiatric needs of people across multiple locations in WA. He practices at Advanced Foot & Ankle Clinics and goes all out to ensure the delivery of quality care to all visiting individuals. His fluency and command over English and Russian make him culturally attuned to patients from various backgrounds, who enjoy having him as their physician. He is certified by the American Board of Multiple Specialties in Podiatry in the prevention and treatment of diabetic foot wounds. Dr. Pisman completed podiatric training at the New York College of Podiatric Medicine. He is also an alumna of Russian National Research Medical University named after N. I. Pirogov. Trained to address a broad range of foot problems, he specializes in the treatment of foot ulcers, foot or ankle fractures, foot infections, foot or ankle tumors or neuromas, and diabetic foot. Dr. Pisman is a young and talented podiatrist and is uncompromising in his dedication to the well-being of his patients. He understands the needs of his patients and treats every person with the compassion, respect, and attention they deserve. He spends time with his patients to explain to them their condition and provides suitable options available before moving on to surgery.